Hook some big cash prizes when you play Lucky Angler slots at Vegas Spins! This aquatic Netent slot is packed with Free Spins, Scatters, Wilds, Bonuses, and more! 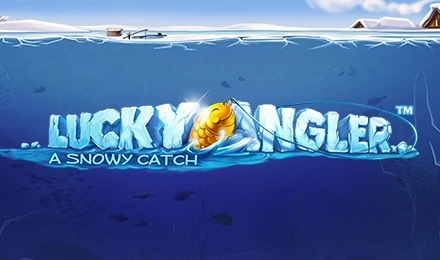 Lucky Angler slots is a thrilling Netent slot with an ice fishing theme. The graphics and animations are incredible and you’ll be transported to a frozen lake to reel in your big catch! The reels are set against an icy blue frozen lake filled with fish, eels, catfish, and lobsters! The Fish Scatter symbol will award you with up to 20 Free Spins when you get at least 3 on the reels. The Sticky Wilds appear on reels 2 and 4 and can really boost your winnings by replacing other symbols to complete paylines! When a Sticky Wild completes a winning combination, the symbol freezes into an ice cube and sticks to the reels!